Long home to cutting edge firms like agricultural innovator Terviva and genomic data processor Fabric Genomics, Oakland's biotech cluster has grown since the relocation of the California Institute for Regenerative Medicine from San Francisco’s Mission Bay to Oakland in 2015. 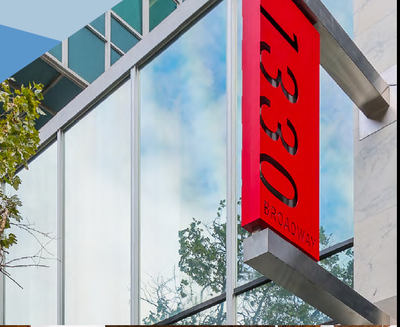 Clovis Oncology will expand into Oakland with a 32,000-square-foot lease at TMG Partners’ 1330 Broadway building. The biopharmaceutical company will occupy the ninth and tenth floors of the 18-story Oakland building, which also houses offices for Oracle and Arup. For more information on Oakland business, contact Business Development Coordinator Aliza Gallo. Since the City released its Medical Cannabis Permit Application in May 2017, more than 460 applications have been received from individuals interested in cultivating, manufacturing, delivering, distributing, testing or transporting medical cannabis in Oakland. Of those, more than 250 were submitted by equity applicants. In the initial permitting phase, the City will issue a minimum of half of all permits to Equity applicants, and a total of eight new dispensary permits. The City’s groundbreaking legislation, adopted unanimously by Oakland City Council in March 2017 and amended in November 2017, was based in part on an equity analysis showing racial disparities in drug law enforcement and the regulatory environment in the City from 1995 to 2015. The state’s new adult recreational use law took effect on January 1, and City staff are working with the state as California also implements regulations for the cannabis industry. For more information, please visit www.oaklandnet.com/cannabispermits. Bay Area foodies are marking their calendars for Oakland Restaurant Week! 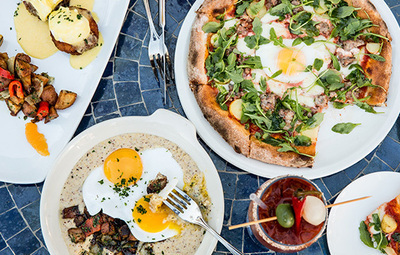 From January 11-21, 2018, Oakland Restaurant Week runs over two weekends for foodies to take full advantage of dining deals. Participating restaurants such as Eve’s Waterfront, Nido, Lungomare and Dragon Gate will offer prix fixe lunch and/or dinner menus at $10, $20, $30, $40 and $50 price points. Localfoodadventures.com will lead two neighborhood food tours. Post pics and follow Oakland Restaurant Week 2018 on social media with #ORW18. 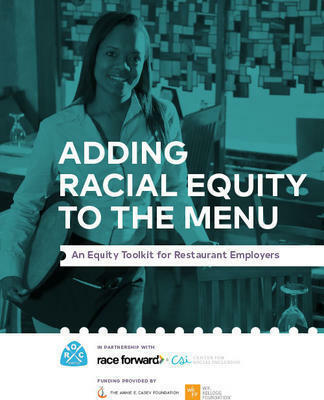 “Adding Racial Equity to the Menu: An Equity Toolkit for Restaurant Owners” is a roadmap for restaurateurs to confront conscious and unconscious racial biases that may inform hiring, promotions decisions, and other workplace practices. Oakland's Restaurant Opportunities Center United, Race Forward and Center for Social Inclusion have identified steps to help build a restaurant industry where equity, dignity and fairness are always on the menu. As reported in the East Bay Express, Temescal’s popular Homeroom piloted the tool and is a case study in the report. Complete the short questionnaire to receive the download link for the tool kit, which provides strategies and tools for assessing race and gender bias in everyday operations as well as recommendations to combat patterns of occupational segregation and foster equitable opportunities. Oakland is home to a treasure trove of workforce development services for employers, and some of our most successful businesses hire consistently through workforce services. Starting January 25th, the Oakland Workforce Development Board (OWDB) and Oakland Metropolitan Chamber of Commerce will begin a monthly Lunch and Learn series to provide an overview of the low-to-no cost services and resources available to Oakland employers to recruit, attract, train, and retain local talent. OWDB will highlight the initiative and services available to Oakland employers and discuss how the workforce system trains employees for today’s workforce. This is a valuable event for Human Resources professionals or anyone in the hiring and training process. For more information, contact Workforce Development Specialist Tamara Walker. Low-to-moderate income workers have always been able to increase their refund with the Earned Income Tax Credit, but for the first time in CA, 2017 qualifying taxpayers who are self-employed can also claim the State’s Earned Income Tax Credit (EITC). California families with children can receive as much as $2,700 in addition to the income boost they receive from the federal EITC. They can also get free tax preparation assistance from one of Oakland’s Volunteer Income Tax Assistance Centers. Check back in late January as locations are updated. For more information, contact Economic Development Specialist Marisa Raya. The requirement to electronically submit employment tax returns, wage reports and payroll tax deposits to the Employment Development Department was expanded to include all employers. The California Chamber of Commerce offers a free overview of these and other new California employment laws. To assist employers, the City of Oakland will host a free employment laws update workshop on Thursday, January 25. Jan 8 @ 125 12th St.
Economic Development Forum - What's Breaking Ground in 2018? Which cities are best for diversity in STEM? Will the Oakland hills get 200 homes and a charter school?